This text was originally published in November 2010. How to confront the diabolical and absurd proposition put forth by the US administration that using tactical nuclear weapons against Iran will “make the World a safer place”? 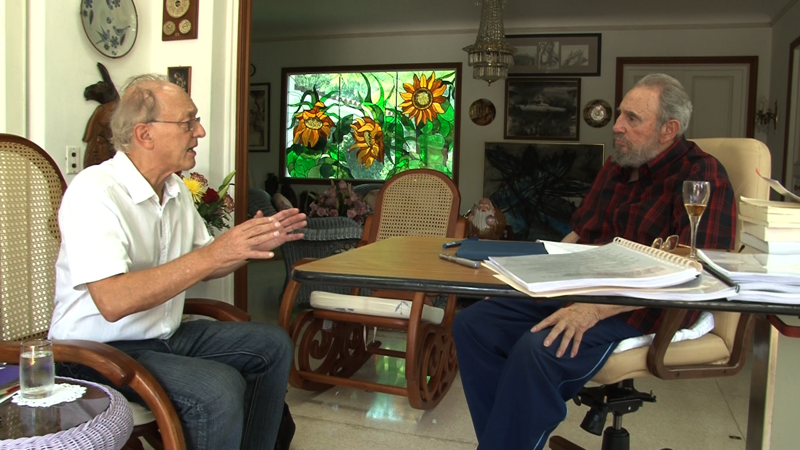 A central concept put forth by Fidel Castro in the interview is the ‘Battle of Ideas”. The leader of the Cuban Revolution believes that only a far-reaching “Battle of Ideas” could change the course of World history. 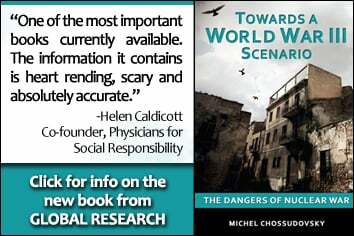 The objective is to prevent the unthinkable, a nuclear war which threatens to destroy life on earth. But, after the Cold War, particularly after September 11 , America’s nuclear doctrine started to be redefined. In my opinion, the threats against Iran became imminent in June , after the adoption of Resolution 1929 on the 9th of June, 2010, when the United Nations Security Council condemned Iran for the research it is carrying out and the production of small amounts of 20 per cent enriched uranium, and accused it of being a threat to the world. The position adopted by each and every member of the Security Council is known: 12 member States voted in favor –five of them had the right to veto; one of them abstained and 2 –Brazil and Turkey- voted against. Shortly after the Resolution was adopted –the most aggressive resolution of of them all– one US aircraft carrier, embedded in a combat unit, plus a nuclear submarine, went through the Suez Canal with the help of the Egyptian government. Naval units from Israel joined, heading for the Persian Gulf and the seas nearby Iran. Michel Chossudovsky.- It is an extremely important issue for me and if we are talking about a “counter-alliance for peace”, the criminalization of war seems to me to be a fundamental aspect. I’m talking about the abolition of war; it is a criminal act that must be eliminated. 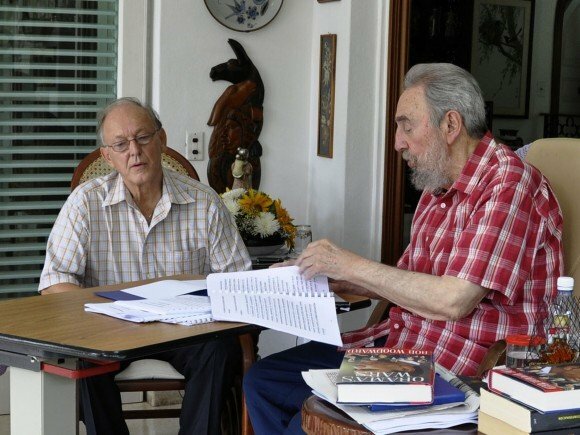 Fidel Castro Ruz – Well, who would judge the main criminals? Fidel Castro Ruz.– No, it cannot survive, in terms of all the analysis we’ve undertaken, it cannot survive. The capitalist system and the market economy that suffocate human life, are not going to disappear overnight, but imperialism based on force, nuclear weapons and conventional weapons with modern technology, has to disappear if we want humanity to survive. Michel Chossudovsky. – The antiwar movement in the United States, Canada and Europe is divided. Some people think the threat comes from Iran, others say they [the Iranians] are terrorists, and there is a lot of disinformation in the movement itself. President Obama said that the threat comes from Al Qaeda, which has nuclear weapons. Also, if someone reads Obama’s speeches he is suggesting that the terrorists have the ability of producing small nuclear bombs, what they call “dirty bombs”. Well, it’s a way of [distorting the issues] and shifting the emphasis. Fidel Castro Ruz. – That is what they tell him [Obama], that is what his own people tell him and have him believe. Michel Chossudovsky. 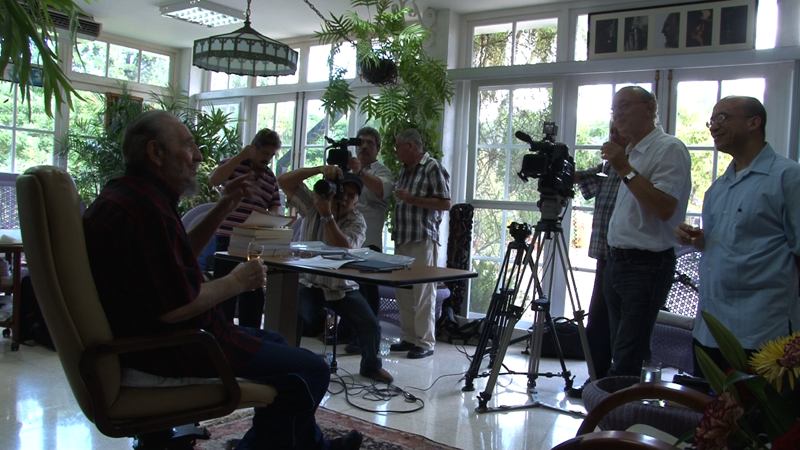 – I have a question, because there is an important aspect related to the Cuban Revolution. In my opinion, the debate on the future of humanity is also part of a revolutionary discourse. If society as a whole were to be threatened by nuclear war, it is necessary in some form, to have a revolution at the levels of ideas as well as actions against this event, [namely nuclear war]. Michel Chossudovsky .- What happened, even in recent months, it was said: “Yes, nuclear war is very dangerous, it is a threat, but the threat comes from Iran,” and there were signs in New York City saying: ” Say no to nuclear Iran, “and the message of these posters was to present Iran as a threat to global security, even if the threat did not exist because they do not have nuclear weapons. Fidel Castro Ruz.- Well, it’s the only way we can prevent it. If we were to create world opinion, it’s like the example I mentioned: there are nearly 7 billion people trapped 800 meters underground, we use the phenomenon of Chile to disclose these things. Michel Chossudovsky. – Or they believe that this is simply some sort of conventional weapon. Fidel Castro Ruz. – Yes, they are deluded and believe that you can still use that weapon. They believe they are in another era, they do not remember what Einstein said when he stated he did not know with what weapons World War III would be fought with, but the World War IV would be fought with sticks and stones. I added there: “… there wouldn’t be anyone to handle the sticks and stones.” That is the reality; I have it written there in the short speech you suggested I develop. Fidel Castro Ruz. – Repeat that, please. Michel Chossudovsky. – The nuclear weapon has several different consequences: one is the explosion and destruction in the theater of war, which is the phenomenon of Hiroshima, and the other are the impacts of radiation which increases over time. It’s a mistake to think that the Iranians would give up if they used tactical nuclear weapons against them, and the world really would be shocked, but then it may be too late. Michel Chossudovsky. – And that we can see in Iraq; in Afghanistan they can destroy an entire country, but they cannot win from a military standpoint. Fidel Castro Ruz. – But to destroy it [a country] at what price, at what cost to the world, at what economic costs, in the march towards catastrophe? The problems you mentioned are compounded, the American people would react, because the American people are often slow to react, but they react in the end. The American people react to casualties, the dead. 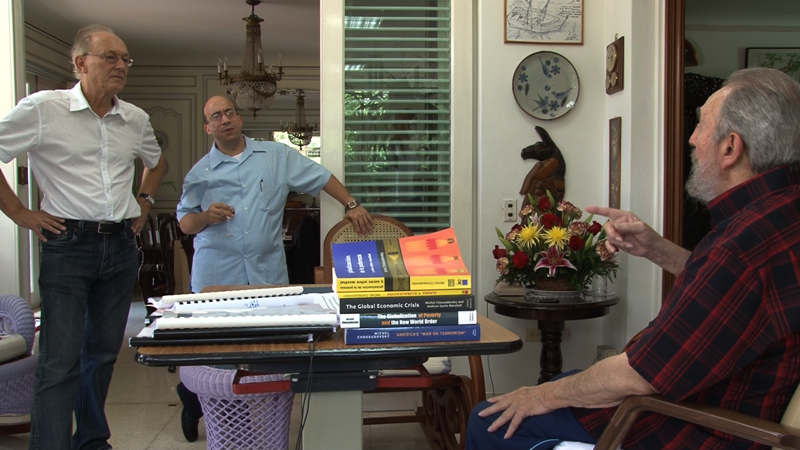 Recorded on the last day of the Conversations, October 15, 2010 the original Global Research/Cuba Debate video (our copyright) was removed on alleged copyright infringements alongside many other Youtube postings.